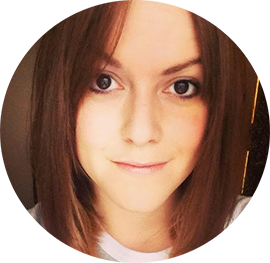 I used to colour my hair a lot and not really look after it, and it wasn't until I realised I could visibly see my scalp I started to panic. Products that offer help with the appearance of thinning hair have often been marketed towards men, however as companies realise women also suffer from thinning hair through damage, stress and illness more have appeared ready to offer a helping hand. 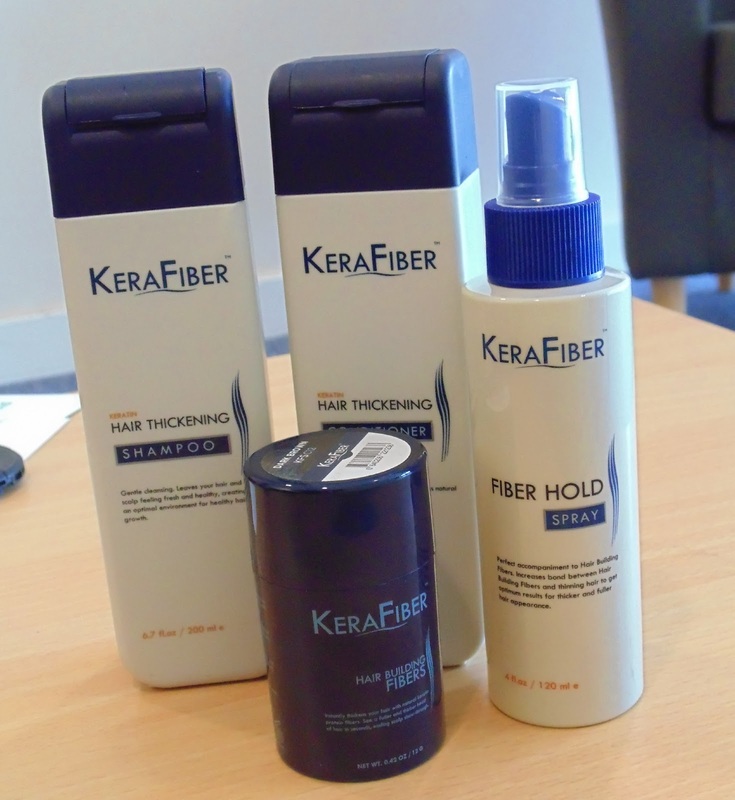 KeraFiber is a simple solution to thinning hair, using 100% All-Natural organic keratin protein. 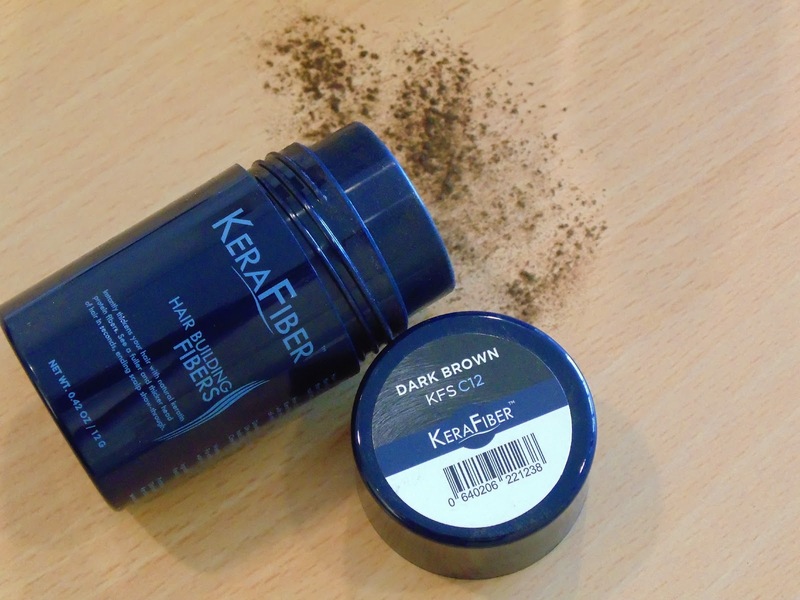 I've been using the KeraFiber Hair Building Fibers in medium brown (available in nine colours) and have been very impressed at the fact the product doesn't leave hair feeling sticky as some volumising ranges can, and how it really helped make my hair look thicker and fuller. It's also fantastic when used as a texturising powder or dry shampoo as it helped me leave my hair another day without washing when applied. It's definitely worth checking out the website for the reviews and testimonials along with some great before and after pictures. So, the giveaway part? I'm giving one lucky reader the chance to win a KeraFiber bundle worth £56, containing shampoo, conditioner, hold spray and a 28g bottle of fibers. medium brown, I would like to try KeraFiber because my hair is thinning and falling out where I haven't been very well and see if it makes a difference. i would choose a brown, as im always colouring my hair too, it always comes out in small clumps when i wash it.